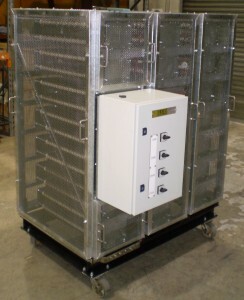 A Load bank is designed to mimic the operational load that a power supply source will see in actual application. It is a self-contained, unitized device. When applied to an electrical supply it provides a resistive load for converting or dissipating the power output. 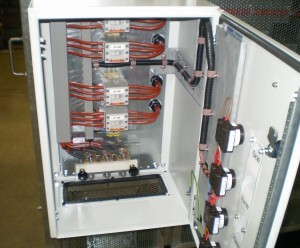 Typical applications include a standby load for electrical generators coupled to diesel engines or for UPS supplies. It is used for test and maintenance purposes. When applied to diesel engine main load or standby loads with a planned maintenance cycle it inhibits cylinder glazing and wet stacking of the diesel engine. 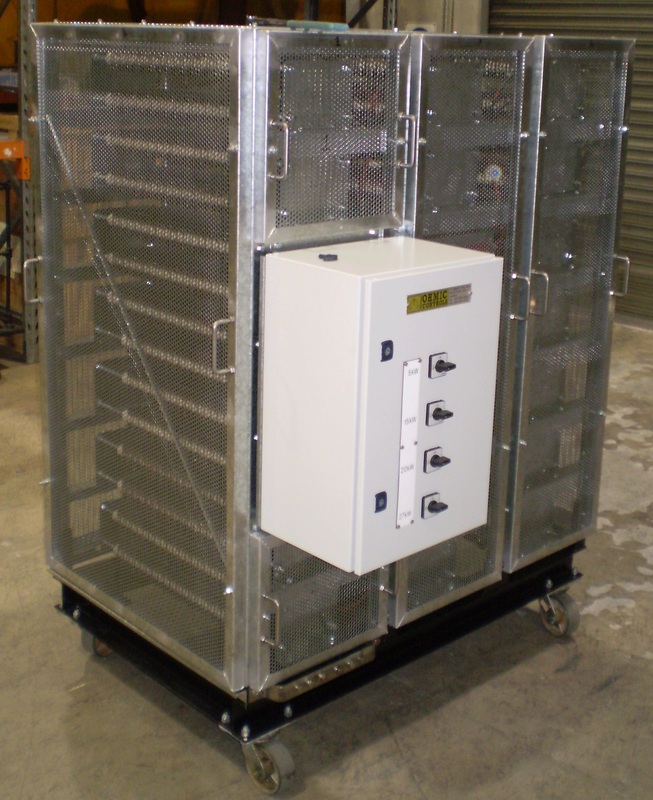 OHMIC RESISTORS can supply load banks for permanent or portable installations.